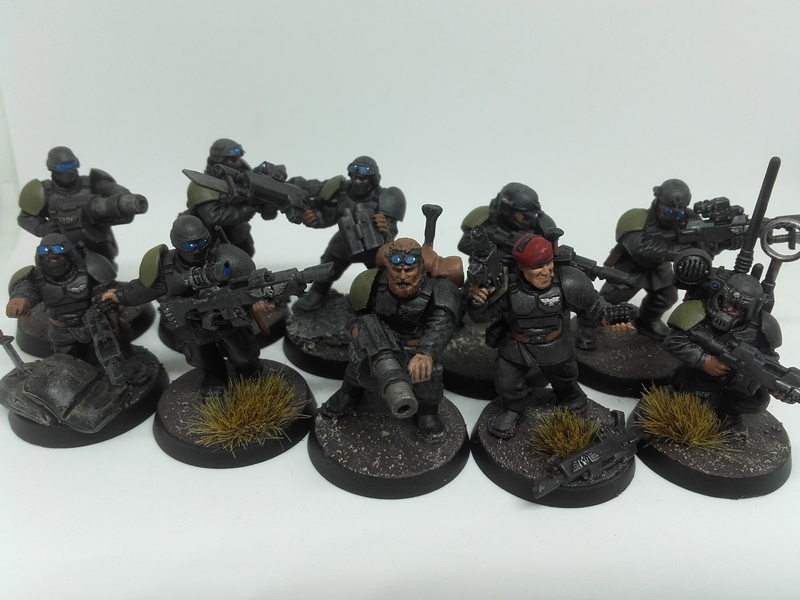 Cadian Special Ops: Completed and off to war. It has been a long while since the first batch has been finished and now the second set has been completed. Both sets were handed off on Saturday. 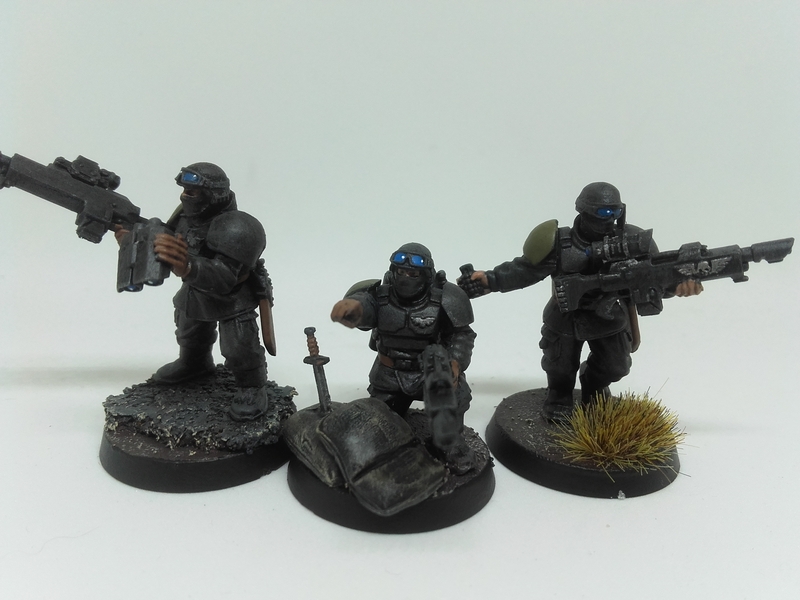 There are the two sets together, subtly different but I think they look unified enough to match in the same army. Client was happy with them, which is the important thing. I am delighted with the over all look of both units side by side. Next I need to face them on the field, most likely deploying from Valks. 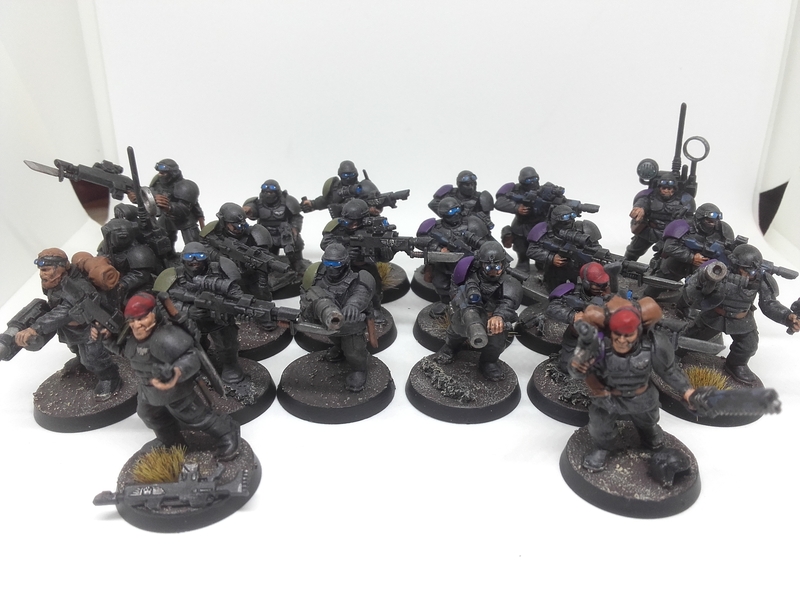 Full squad with some scrub brush that was added after varnish. Thank you to everyone who suggested the green shoulder pads for this group, it really works. 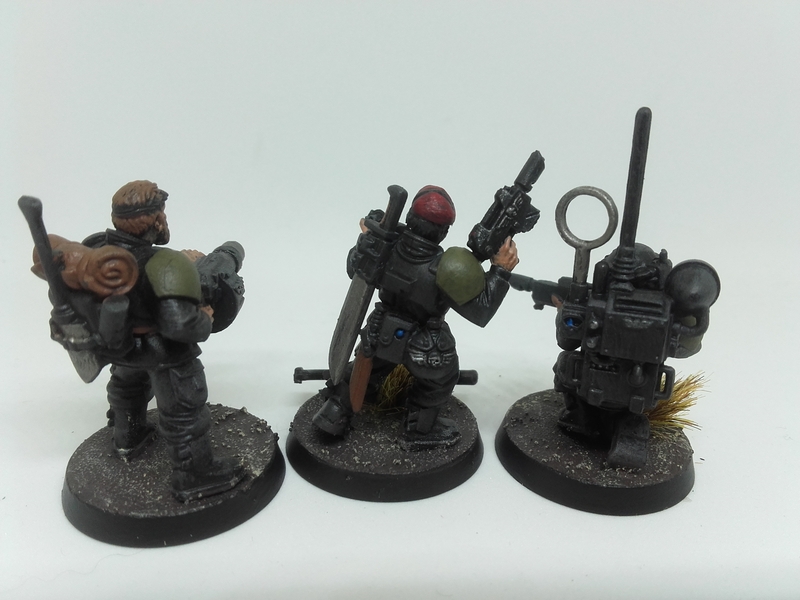 Like the first squad there are only a few details picked out with metal, these are Black Ops after all.